Darlington has some fine restaurants for that romantic meal or get together. Darlington’s gastronomic delights are many and varied. We’ve featured just a taster of the independent cafes, pubs and restaurants that make up the Darlington mix. Exciting and authentic Italian menu with extensive pizza choice and children’s menu. 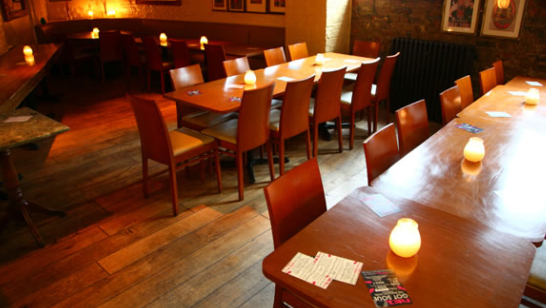 A modern, spacious restaurant with a very welcoming and relaxed atmosphere. A small al fresco dining area is available in the attractive courtyard garden during the summer. La Sorrentina offers traditional Italian cuisine and specialises in seafood, with daily fresh fish blackboard specials. Good food, friendly service & excellent value. Peppe runs a great restaurant with loads of passion & pride. Voodoo has a great reputation for preparing a rich variety of Mexican and South American dishes, and for serving the best coffee in Darlington! Only the finest ingredients and resh local produce plus exotic herbs and spices are used. Mexican Café Bar amazing food, large vegetarian choice, great beer fine wine and cocktails.